3D Modeling for Paper Model Tutorial	. 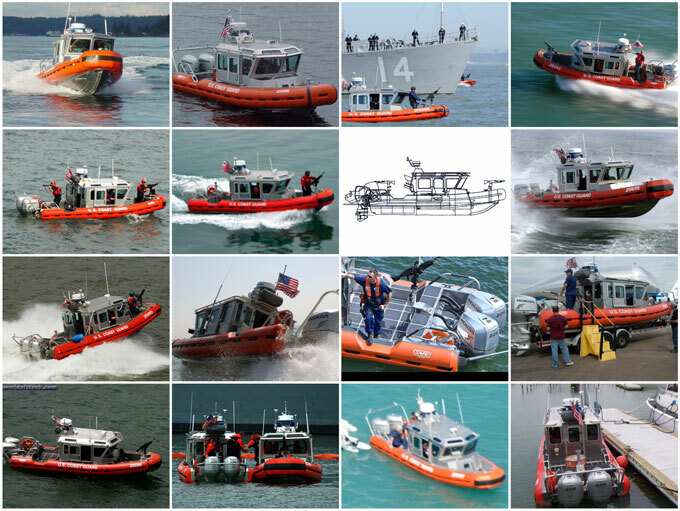 I have Google and collect some images of our subject, a US Coast Guard Response Boat Small [RBS]. Each image has different angle and different details seen in all of them, each image is very useful to build a whole image and 3d geometry image of our subject in our brain. 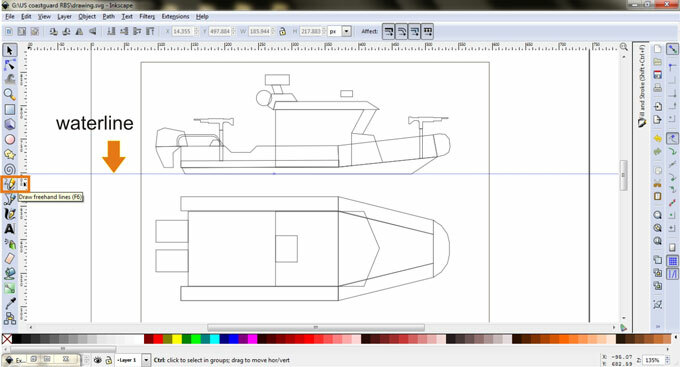 We now see how it will looks like, but we have to simplify that image into 2 or 3 view drawing or blueprint. Blueprint will make 3d modeling much easier, it will be our guide. I have decided to model a “waterline" type of model boat, that’s mean we’re going to model boat parts that we actually seen above the water, we won’t make parts that submerge under water. The next step is to export the drawing into bitmap [PNG]. Draw a box surround our drawing with “create rectangles and squares" tool [F4]. 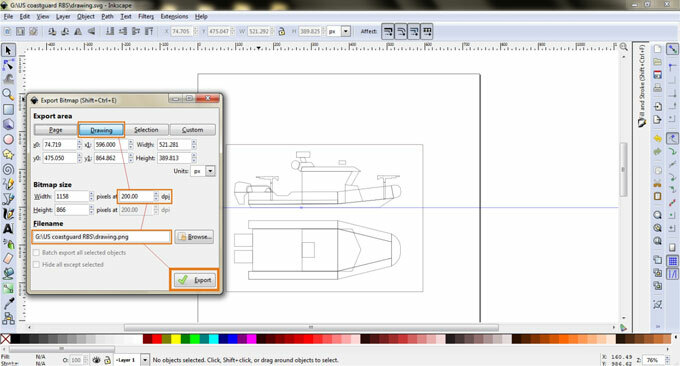 Click File - Export Bitmap, when dialog window open, choose Drawing and fill dpi with 200 dpi on Bitmap size. Save as drawing.png and drawing.svg.